In 2006 Shaw introduced EPIC™, a breakthrough in engineered hardwood flooring. Since then, we've been working to make it even more, well, epic. Introducing EPIC Plus, the next generation of this remarkable flooring. At the core (literally) of our cutting-edge engineered hardwood is Stabilitek, the latest technology from the Shaw Hardwood Innovation Lab. We tested and tested - and tested again - to make sure our new technology could truly stand up to the EPIC Plus claims. And does it ever. And we're confident about our claims. Why? Because we analyzed our product through and through. We went to construction sites, engaged builders, consulted climate specialists and hired the leading wood and concrete specialists. We worked with the industry's foremost adhesive manufacturers to formulate a comprehensive system that will work in the most challenging environments. And, it's easy to install, with a strong tongue and groove system that makes installation fast and secure, leaving superior joint integrity. Greener - EPIC Plus is one of the most sustainable engineered flooring products on the market. 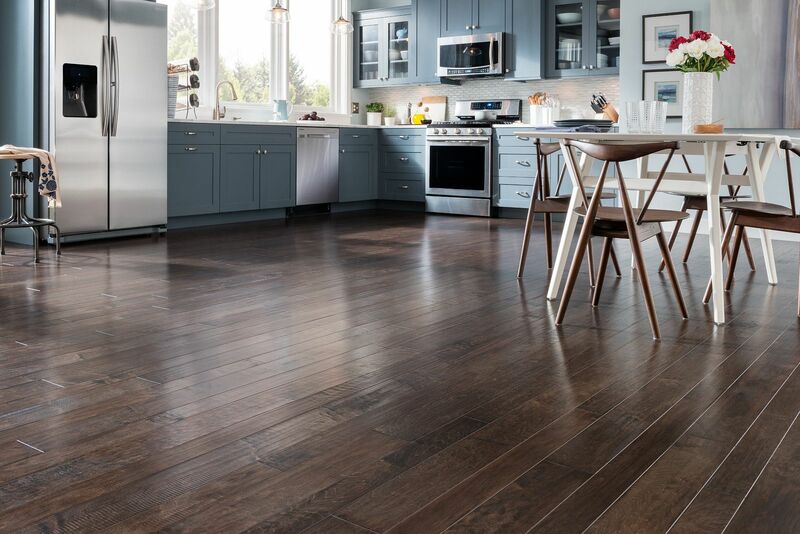 It uses approximately 50% less newly harvested wood than conventional 3/8" engineered flooring, because it's made with Stabilitek, Shaw's high-density core board made from recycled post-industrial wood fiber. Made in the USA with wood harvested from well-managed forests. Cradle to Cradle - Silver Certification comes from McDonough Braungart Design Chemistry (MBDC), a third-party product and design firm founded by architect William McDonough and chemist Dr. Michael Braungart. MBDC's Cradle to Cradle - Certification process looks at multiple factors, including use of environmentally safe and healthy materials, design for recycling, water and energy efficiency, and social responsibility. Softness meets stain resistance. Style never felt so good.